Juno slammed Boston last night and it’s still snowing now, over 24 hours later. In most places it’s about two feet deep. We had a snow day from work (necessary when the public transit system is shut down), so today I had a lazy morning with coffee, did some household stuff, and then took out my cross country skis. 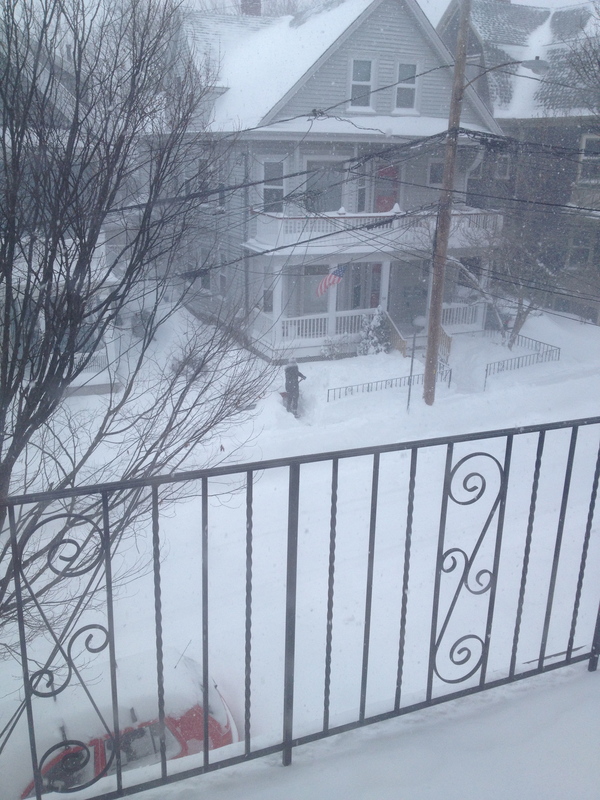 The view from my apartment at around 11:00 this morning—that’s my car buried at the bottom. I live near a bike path, and was a little concerned about getting to it after the plows started running. I needn’t have worried. Even after the plows went by me, there was enough left on the roads for me to ski down the middle to get to the bike path. 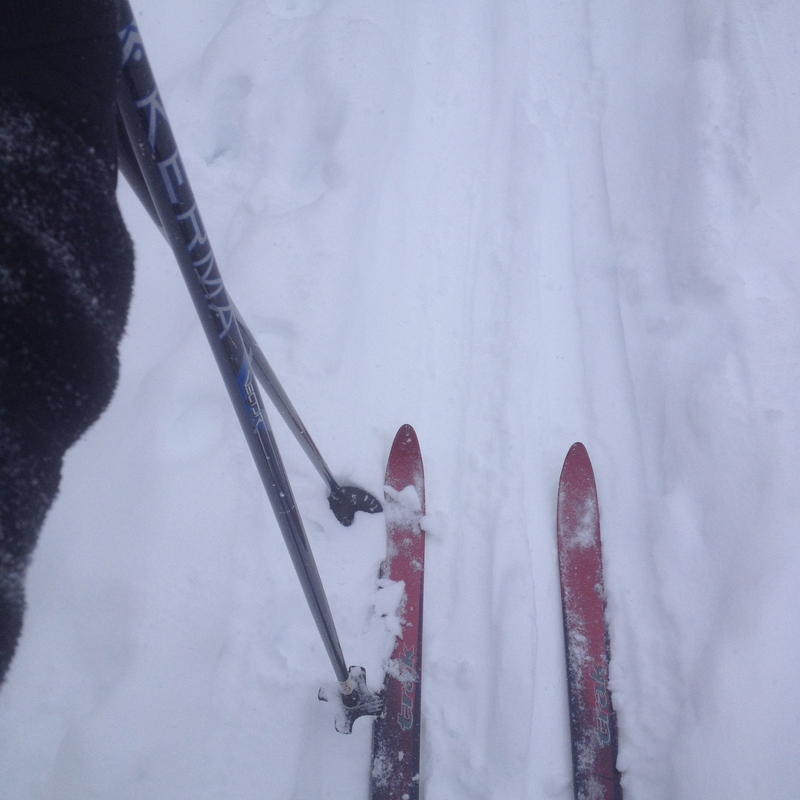 There the snow was deep enough that at one point I looked down and realized I was skiing over a fence. Some of the drifts were taller than I was. Somerville has a robust population of urban skiers and snowshoers. We were all out there romping around, along with the happy happy dogs on walks (a collie rolling gleefully on her back, a boxer mix pouncing at the snow as it fell). Lots of insider smiles exchanged, the smug satisfaction of people who know how to layer and how to enjoy a wind chill of -4 Fahrenheit. I, transplanted Mainer, am delighted by this proper snowfall.